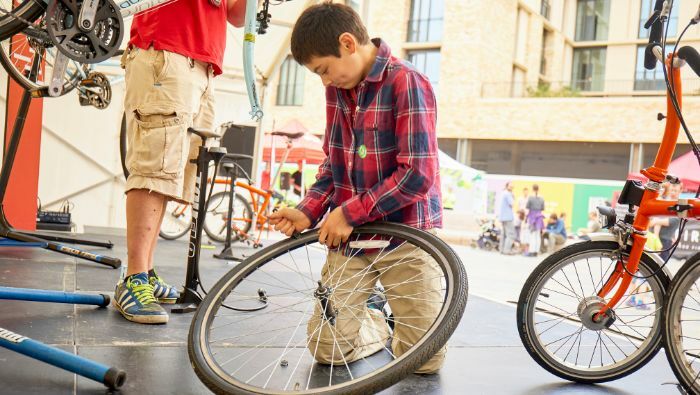 Running an inner tube challenge is a really great way to challenge keen cyclists, while also breaking down barriers to introduce bike maintenance to people who might normally shy away for fixing or even riding a bike. We can give tips to those who are already competent and can demonstrate to those with no experience. Either way, everyone will enjoy the competitive environment. Our staff are enthusiastic and engaging while offering a supportive environment for those new to maintenance. We bring a leader board, bikes and all equipment and we can even offer prizes for different categories. A firm staple in Cambridge station at rush hour, we love our Bromptons – these incredible bikes can be unfolded, ridden and folded back again in less than 30 seconds! Our Brompton Challenge takes it’s cue from the iconic Brompton World Championships, with a participants going head-to-head to unfold the bike, ride it out and back on a 50m straight, then fold it back up in the fastest time. This high energy, high adrenalin event is sure to bring out the competitive edge in your audience! 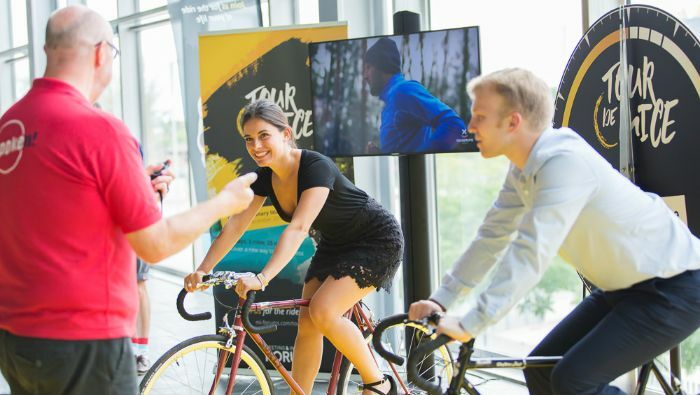 Looking to encourage active travel to your event and show your commitment to sustainability? Why not book a Dr Bike? 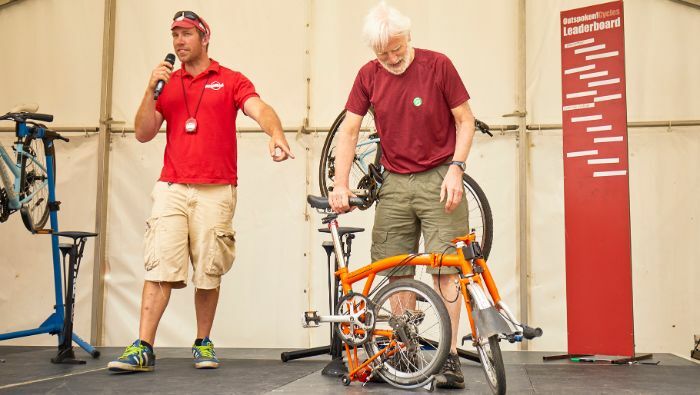 Our qualified mechanics bring a mobile workshop to service and fix bikes all on site. We believe in demistifying cycle maintenance and encourage participants to watch us work, picking up tips and asking questions. 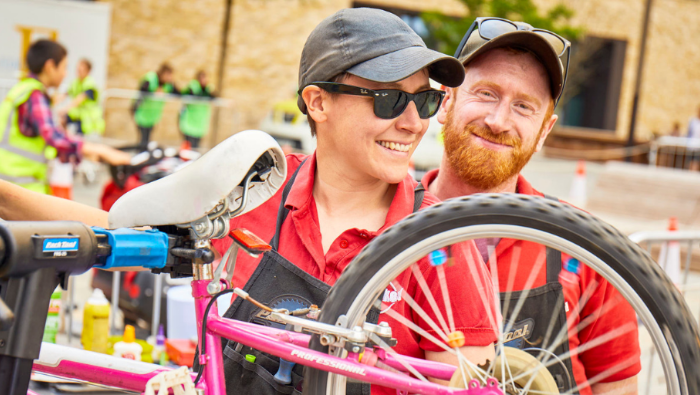 For local events our mechanics travel by cargo bike, pedalling everything needed to the event. For more information visit our Dr Bike page. If you haven’t seen exactly what you are looking for so far, we can tailor bespoke activities to the needs of your events. Our most popular bespoke activities are based on our electric generating turbo trainers. If you have something electrical that you would like to be pedal powered, get in touch and we can work with you to build your bespoke activity. We also retail our existing activities kits and accompanying bikes. Get in touch for details.